Patagonia by Pandora’s Backpack is one of only a handful of locally owned Patagonia stores nationwide. 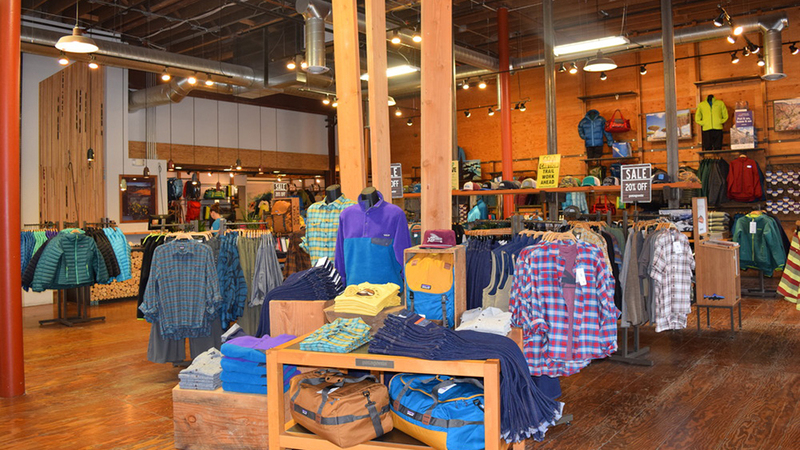 This Patagonia branded store, on the corner or Oregon Ave and Wall St, carries a majority of the Patagonia line, handles warranty issues, and maintains a locally owned status. People ask why they wanted to become a Patagonia store and they say a very easy decision because they feel that Patagonia is the last outdoor sports company that is true to them themselves and to the athletes they support. They are still independently owned. They support women’s sports as thoroughly as they support men’s sports. They don’t leave anyone out in the cold and they stand behind their products, their dealers and their customers one hundred percent. When you shop at this particular Patagonia store, you are shopping locally and they proudly to donate to over 50 local charities per year while supporting local employees. They offer a rewards program and can special order almost any item from the Pagagonia line if they don’t carry it in-store.